(NaturalNews) The late, famed herbalist Dr. John Christopher was nicknamed “Dr. Cayenne” because he was constantly recommending the healing powers of cayenne, the substance found in chili peppers that produces a sensation of heat. He especially advocated using it for cardiovascular health and even made the claim that doses of cayenne could stop heart attacks in progress (http://www.naturalnews.com/026869_c…). 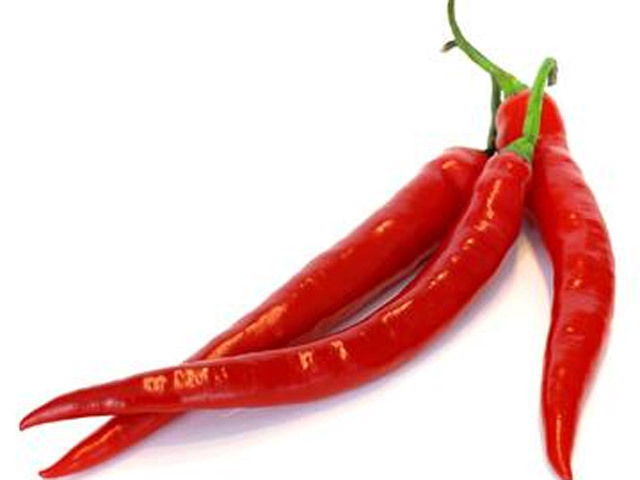 Now science has come up with proof cayenne does have a remarkable ability to help the heart. University of Cincinnati (UC) scientists have found that capsaicin, the main component of cayenne, may literally stop a heart attack in its tracks when applied topically. New research just published in the journal Circulation concludes that a common, over-the-counter pain salve containing capsaicin rubbed on the skin during a heart attack could serve as a cardiac-protectant — reducing or even preventing damage to the heart. The researchers found an amazing 85 percent reduction in cardiac cell death when capsaicin was used. This is the most powerful cardioprotective effect ever recorded, according to Keith Jones, PhD, a researcher in the UC department of pharmacology and cell biophysics. Dr. Jones and his research team applied capsaicin to specific skin locations in mice that caused reactions in the nervous system. Specifically, sensory nerves in the skin were triggered to activate what the scientists call cellular “pro-survival” pathways in the heart. The result? The heart muscle was protected from injury.